Valueless Junior Liens are Allowed to be Stripped Away from Debtors | The Law Office of Emil Fleysher, P.A. Valueless Junior Liens are Allowed to be Stripped Away from Debtors | The Law Office of Emil Fleysher, P.A. The court giving debtors a hand after they complete their Chapter 13 bankruptcy payments. During the recession property values were so high and obtaining credit was almost as simple as getting something out of a vending machine that many owners took out two and even three mortgages. However, when the market crashed and the surplus ended many were left swimming upstream without a paddle. With such a large amount of debt hanging over their heads, an abundance of people were and continue to seek after financial freedom via bankruptcy. To the surprise of many, the courts have thrown debtors an unconventional bone. They are allowing valueless liens to be stripped away from the homesteads of the debtors after the completion of their Chapter 13 payments. 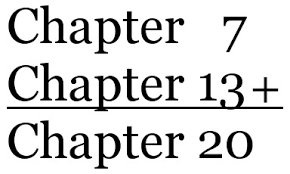 It is being called a Chapter 20 by the bankruptcy bar because it has all of the effect of a Chapter 13 but with the addition of the lien-stripping from a Chapter 7. Lenders are less than pleased about it, especially since they are losing the bargaining of secured claims on the homestead. This upside for the lenders is that the debtors is most likely to remain in the property and will continue to maintain the property on behalf of the bank whilst they figure out their next step. For the debtor this is a win- win situation. They continue to reside on the property and after they have completed their Chapter 13 payments, all their valueless junior liens will be removed. This includes second and third mortgages.